The Original Plastic Bag Dryer was first invented by Kaj Gyr in 1992. Kaj wanted to make a unique Eco-gift for friends, so he looked around the house for inspiration and saw what he always saw: bags draped over wooden spoons and cookware in a half-baked effort to dry them. Thus the concept of the bag dryer was born. 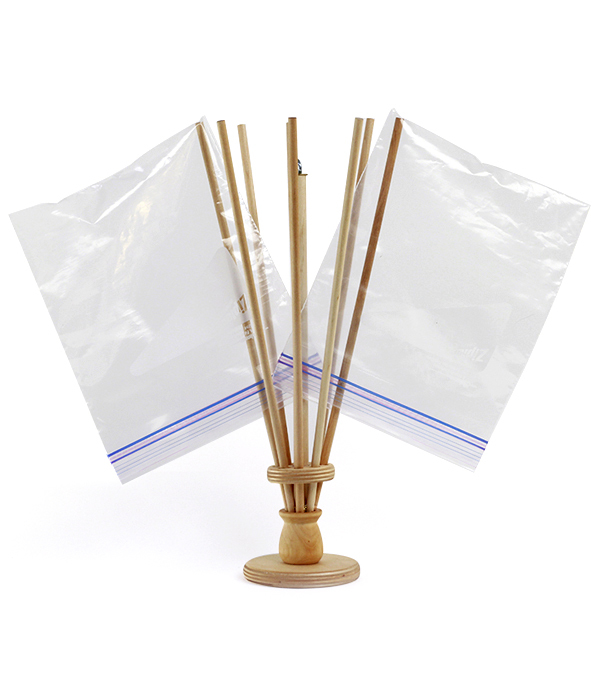 Many prototypes later, the folding and visually pleasing bag dryer of today came to be. The dryer was patented, Catalogs and Eco Products stores took it on, and 150,000 units later, millions of bags have been diverted from the landfill. Our designs are made right here in British Columbia from Sustainably harvested wood.